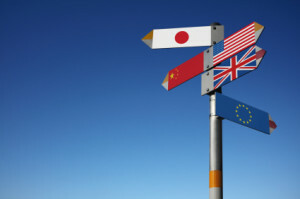 Doing business internationally is often like treading on dangerous and unfamiliar ground. If you have ever been to Disney World, you are probably acquainted with the attraction, “It’s a Small World.” In the event that you have taken that short musical boat ride, you can no doubt recall the words and hum the melody. If you do business internationally, you know firsthand that it’s a small, small world. Business people are flying across the globe on a regular basis, meeting themselves coming and going in airports, hotels and worksites worldwide. They are hosting international visitors in their home offices. Knowing, understanding and practicing global etiquette is essential for those doing business internationally. It is critical to recognize, respect and appreciate the differences you encounter and to be knowledgeable about the customs of your clients and contacts. No matter the quality of your product or level of your expertise, if you are unaware of the business practices and social customs of others, your business will suffer. One small misstep such as using first names inappropriately, ignoring the rules of timing or sending the wrong color flower to your client, can cost you the relationship, the deal or the sale. Conversely, being knowledgeable about international customs can improve your business relations and boost your bottom line. 5. Slapping a Japanese businessman on the back. 6. Skipping small talk in Latin America. 7. Not using both hands when exchanging business cards in China and Japan. Learn all you can about doing business with people from other cultures. Do the research. Start by focusing on greetings and introductions, handshakes, business dress, gift-giving, appropriate conversation, gestures, body language, punctuality and styles of negotiating. There is an old Japanese saying, “The protruding nail gets hammered down.” Don’t be the protruding nail that gets hammered down because you didn’t take the time to learn the customs, traditions and business styles of your international clients. 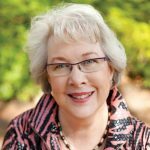 Lydia Ramsey is a Savannah-based business etiquette expert, keynote speaker, trainer and author. Contact her at 912-598-9812 or visit her website: LydiaRamsey.com to find out how her presentations and workshops can help you or your employees add the polish that builds profits. Lydia believes that etiquette and good manners are not about the rules but about relationships. This entry was posted in Business Etiquette, International business etiquette and tagged business etiquette, business etiquette expert, international business etiquette, International business faux pas on February 7, 2019 by Lydia Ramsey.